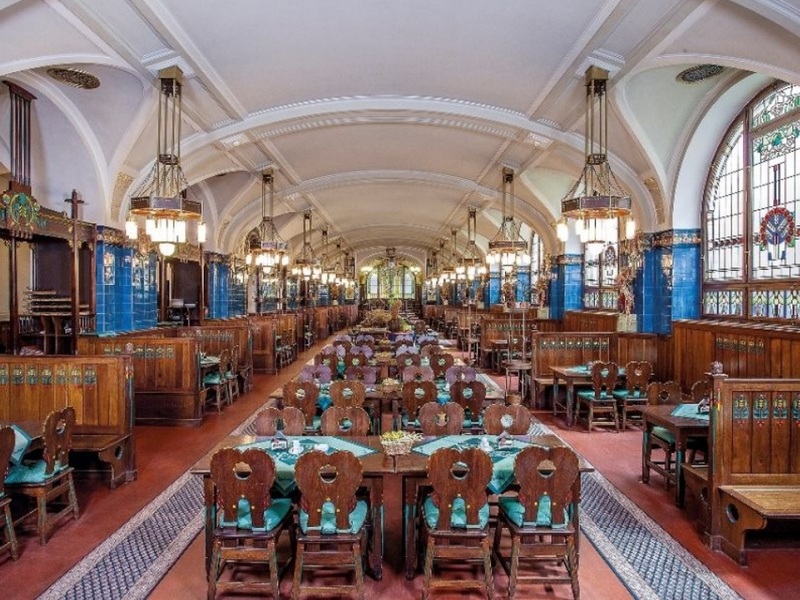 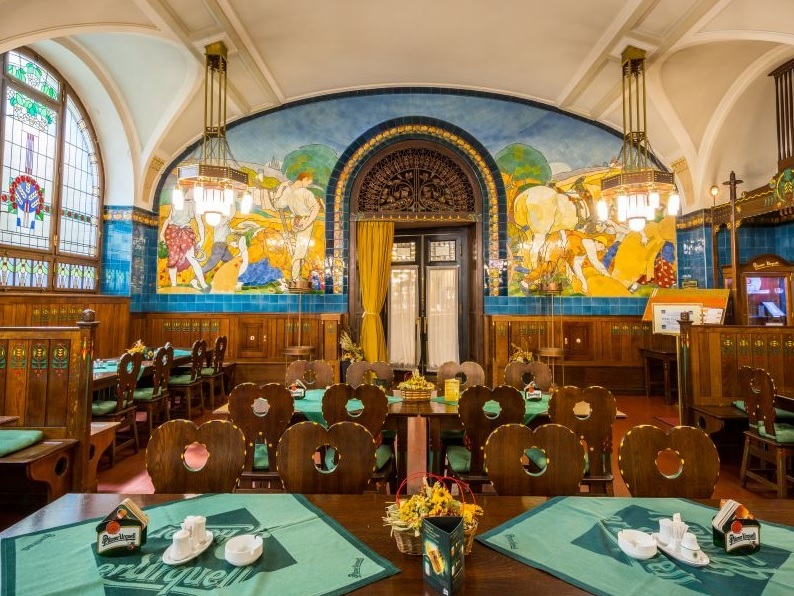 In the basement of the Municipal house a beautiful Art Nouveau Plzeňská restaurant is situated. 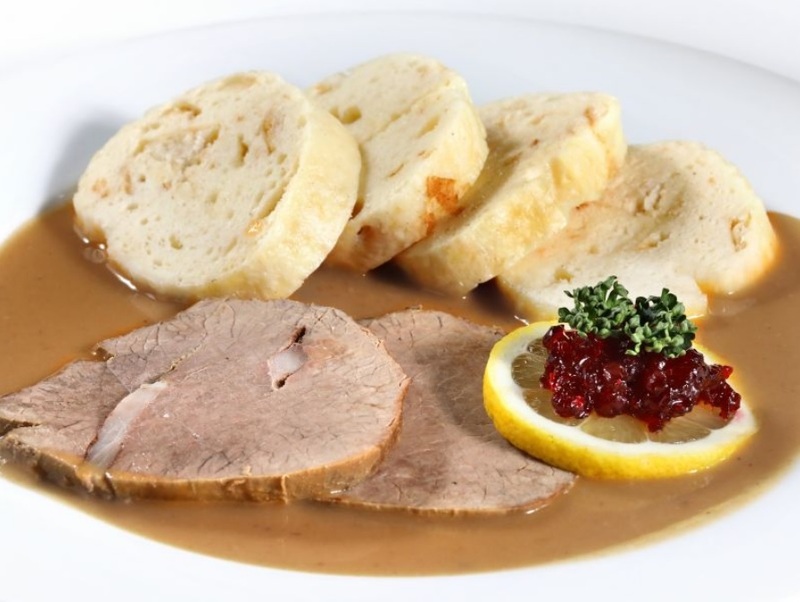 If you prefer the genuine Czech tradition, you should not refuse an invitation for traditional Czech specialities and excellent Pilsner beer. 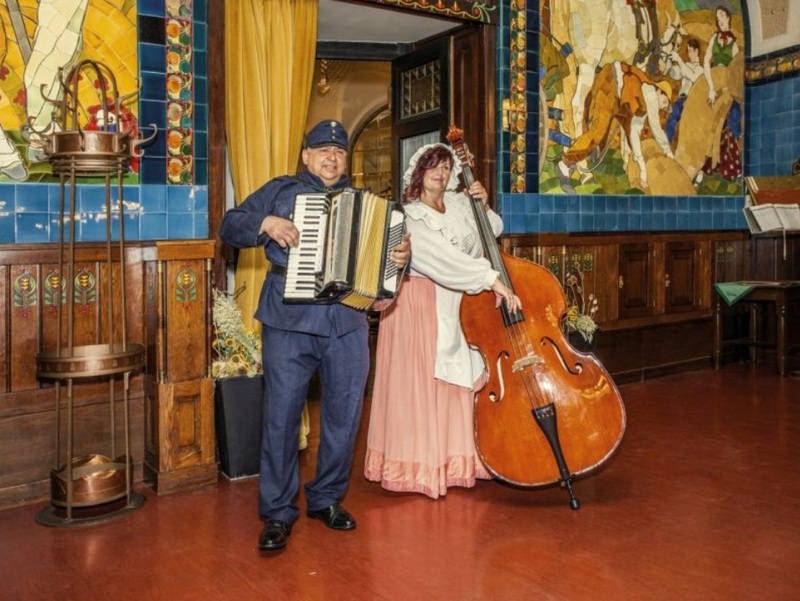 In the evening you can listen to the typical Czech music upgraded by live entertainment of accordionist.